Most geeks have plenty of nerdy knickknacks piled around the house. But if you really want your fandom to shine, do it with your home décor. 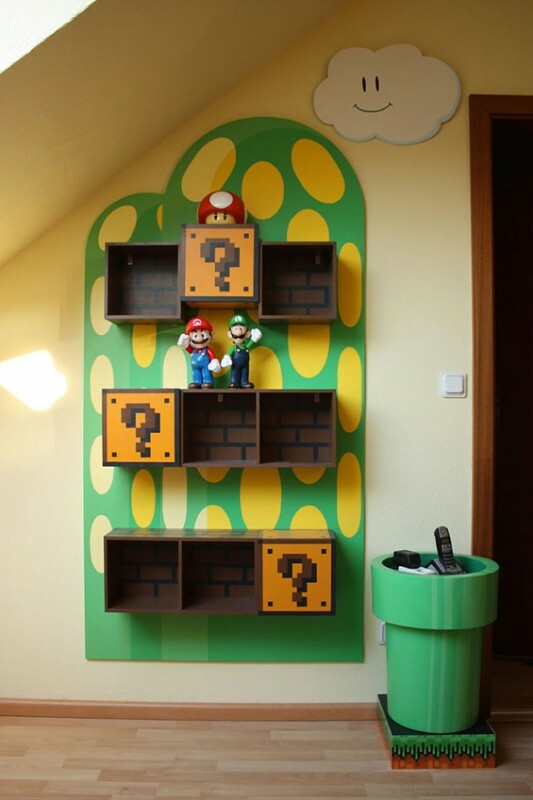 Here are 11 of the coolest geek furniture designs from around the net. 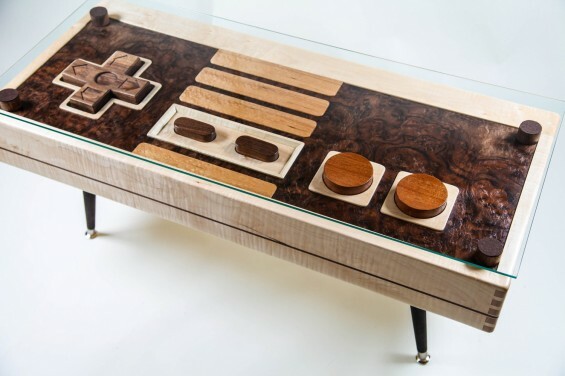 One of the most famous pieces of geek furniture in the world, Charles Lushear’s Nintendo controller table is also one of the most functional. That’s because it not only serves as a coffee table, but it can also serve as a giant NES controller. Talk about fun furniture. 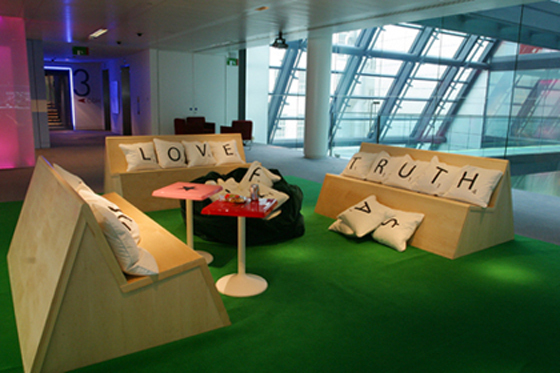 While the letter holder couches and tile-inspired pillows are already enough to make this seating area fantastic, the use of the center and triple word squares as tables really ties the whole Scrabble area together. 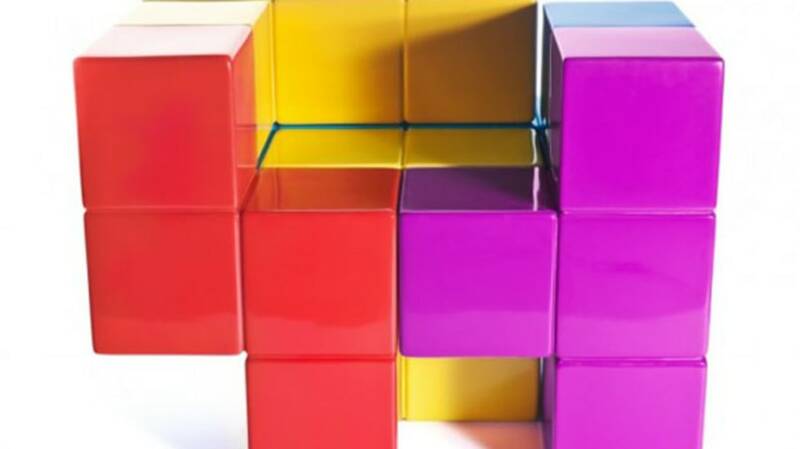 Sure, anyone could design a chair that looks like it is made from Tetris pieces, but if you really want to celebrate the classic game, the pieces need to be able to come apart, and that’s why Gabriel Cañas’ Tetris chair is so darn perfect. 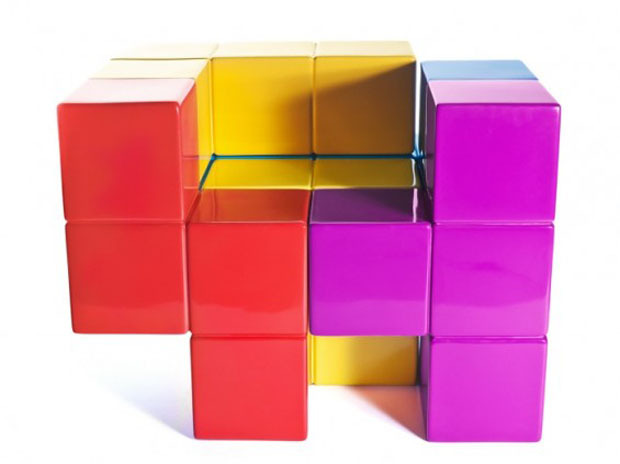 Of course, only Tetris experts should ever take it apart, otherwise they may never be able to put it back into chair shape again. Of course, Kayla Kromer’s Millennium Falcon bed might be the sexiest piece of geek furniture in the galaxy –especially when she’s curled up on it in her full Princess Leia outfit. 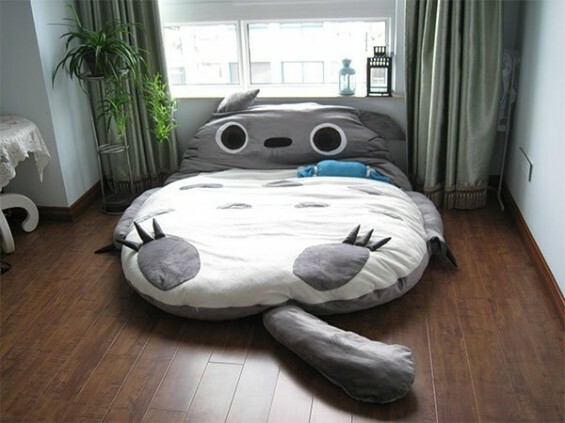 Part bed, part sleeping bag, this Totoro sleeping area provides all the cuddliness of your favorite Hayao Miyazaki character. While it’s made for kids, it is reasonably large, so adults can use it too, but if you really need to stretch out, there are larger versions available on eBay. Neatorama reader Dennis built this amazing set of shelves and the matching table with his girlfriend Judith. The best part is the top middle shelf that is boosted above the rest because Mario and Luigi obviously just jumped into it to get a red mushroom. 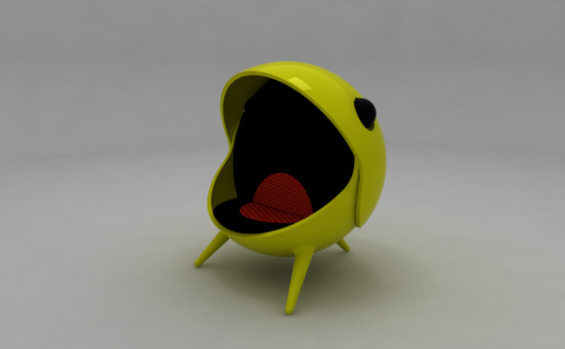 For those who prefer munching pills and ghosts to locking blocks in place, the PacM chair by Jose Jorge Hinojosa Primo is a great way to curl up in nostalgia for your favorite old-school game. More of a modernist? Then don’t miss out on this great iPhone table by iLounge readers Tuan Nguyen and Ken Thomas. Not only does it look great, but the apps are actually functional – at least, as coasters. If you really want a geektastic table though, there’s no better option than this beautiful Periodic Table that comes complete with samples of every element contained therein. In case you’re wondering, all the elements are contained within clear acrylic blocks in order to help preserve and store the samples safely. For a sci-fi look in your home office, it’s hard to beat this beautiful Han Solo in carbonite desk, with light-up sides that fit in perfectly with the theme and a heavy glass top so you don’t risk messing up Han’s perfect face while typing out your epic Star Wars fan fiction. 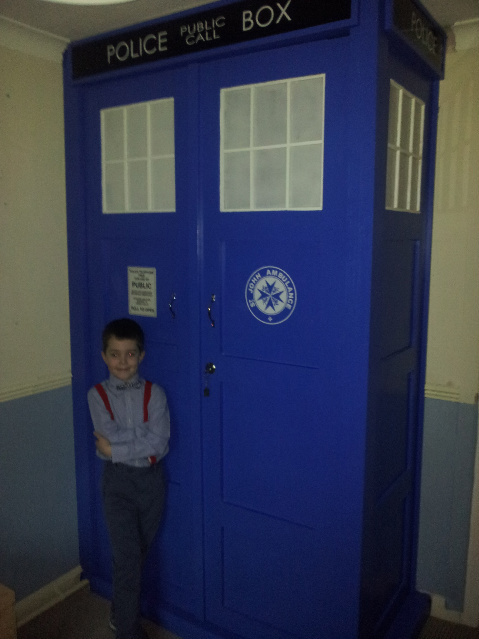 TARDIS Builders user trace3005 has one of the luckiest kids in the universe. That’s because when his six-year-old requested a TARDIS for Christmas, he happily complied, designing a functional wardrobe in the style of the Time Lord’s famous device. As if the image wasn’t impressive enough, you should know that the closet even features working lights, and when it is opened, the sound of the landing TARDIS plays. No wonder this little Whovian looks so darn proud. 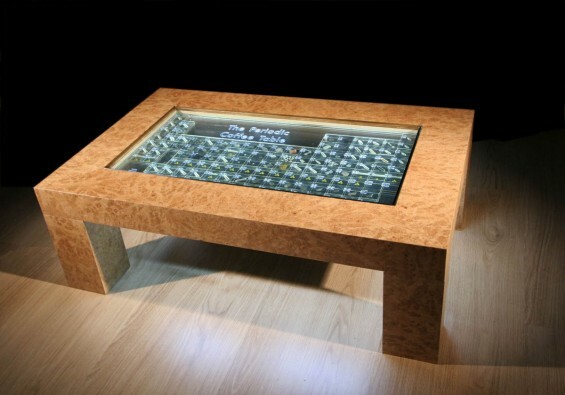 The only downside to geek furniture is that it is often either prohibitively expensive (the Periodic Table costs $8,550) or you have to have the skills to make your own designs. That being said, I’m sure some of you Flossers have invested the money or time to create your own. If so, tell us about it, or better yet, upload some pictures so we can see just how nerdtastic your living space is.